We often look for happiness in different places and people. But no matter how much we look, we can’t seem to find it. Michael Rosenblum believes we all deserve to live Happily Ever Always and for him, that is about looking within oneself. He is a self-made man and one of America’s most successful real estate brokers—deemed even as the broker’s broker. He talks about how much of his success comes from loving what he does and in serving other people. 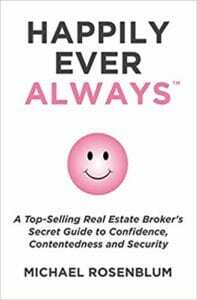 Shedding some life into real estate, he gives light and comforting advices on going to listings, selling, buying, and marketing. Ultimately, he believes that money can’t buy you happiness but happiness can make you rich. 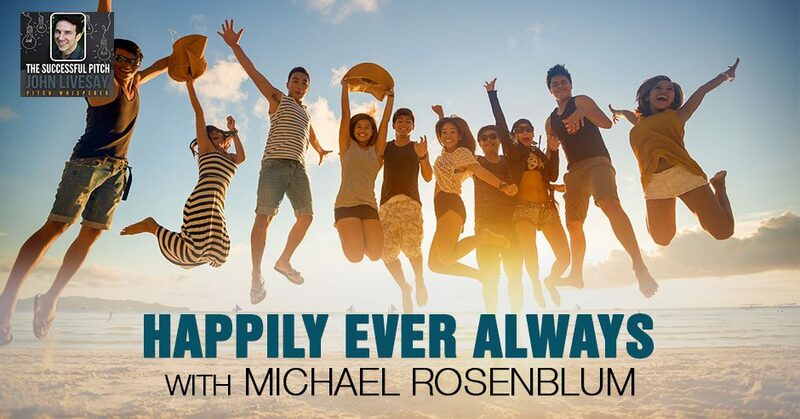 My guest is Michael Rosenblum, who has written a wonderful book called Happily Ever Always. 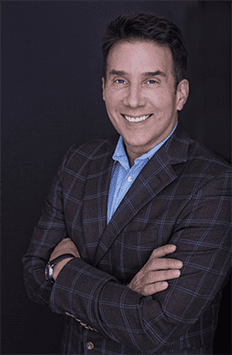 He reveals the winning philosophy by his amazing route to becoming one of America’s most successful real estate brokers. He has this amazing story where he takes you on a journey where you go through all these exercises to get in touch with what your thoughts are about happiness. He tells us that good business isn’t good enough. As someone who passionately believes his joy is measured in the equal proportion to the happiness of those around him, you could imagine that he makes everybody feel happier. He said, “We’re intentionally seeking this spiritual connection because it triggers greatness and we all want that. When you realize why you always deserve to live happily ever always, you have the secret to not only a happy life but a happy business life.” Michael, welcome to the show. Thank you, John. I’m delighted to be here, certainly humbled, to say the least. I always like to ask my guest to tell us your story of origin. You can go back as far as you want. You can be a little boy dreaming of being rich. You can be high school, college, wherever you want to start that had, “I want to be happier than the people I see around me.” Whatever you think would be relevant to give us a sense of how you all started on your journey. I should probably begin by saying I was one of those children who never felt as if he fit in with other kids. I was a little different. In being different as we all maybe have experienced at one time or another in our life, you get bullied when you’re different by people who sometimes are not happy themselves. As I began to grow and learn to like myself, I decided through my trials and tribulations of life that I wanted to find out if there was some formula for being happy. As a young person, I thought happy was being rich, having a lot of money, all material possessions. I came to learn over time of a successful business that I wasn’t happy. I remember having a job one time. I was paid so much money and it was blocks from my home here in Chicago. I would wake up every morning and I would cringe to go to the office because I wasn’t enjoying myself. I was able to go to dinners and buy different things and yet I wasn’t happy. I thought maybe happiness is when you meet the love of your life, when you meet that right person and you have that connection. I was blessed to have that experience and it didn’t work because you fall in and out of relationships. Together, being with someone, I was thinking that was the epitome of happiness and it wasn’t. In short, what I realized was that happiness came from within me. I had to figure out who I was and what was going to make me happy. What I found that was going to make me happy was having a sense of security of my own personal truth. Accepting me for who I am, growing with that and accepting the flaws, the favorable aspects and the gifts that are buried within me. It’s an interesting way of looking at life because a lot of us, especially in the business world and sales, are looking for people to like us, accept us, typically in the form of hiring us. This whole podcast is about the successful pitch. If you’re constantly pitching to get hired or to sell a product or a service and your big concern is like Sally Field, “Do they like me?” You’re never going to ever feel completely happy because not everyone’s going to like you or what you’re selling. That is the truth to heart. Furthermore, what’s interesting is that when you find that you like who you are, you have the ability to present yourself in an authentic way. You’re not concerned what other people think and you’re not concerned that the product you might be selling isn’t going to be favorable to somebody else. You can sell yourself best when you like yourself. When you find your own sense of happiness, then you have the world by the tail and you can do everything and anything that you ever wanted to. You certainly have the world by the tail when it comes to business as one of the most successful brokers in Chicago. You’ve generated sales of over $400 million and then inducted into Berkshire Hathaway’s Hall of Fame. You’re constantly in the top 1% of 46,000 real estate brokers. There must be something to that success that has allowed you to stay consistently at the top. Yet if people think that that’s going to make them happy, they’re still not getting the message. It falls back on the fact that you have to be happy with yourself. You have to like yourself. You also have to be authentic to who you are. By understanding who you are, then you present yourself in a real way. When you present yourself in that real, authentic way, you will find that people will gravitate towards you and you can do anything. My success in real estate is probably driven by the fact that I just want to do a great job for people because that’s what I would want to be done for me. I often call myself the broker’s broker. The reason why I call myself the broker’s broker is because I treat my clients in the same manner that I would expect my broker to treat me. It’s almost like a doctor saying, “I’m going to treat this patient like it’s a family member and not just another job.” I love this concept of when we are our authentic selves because in the marketing world if you try to be all things to everybody, you’re nothing to everybody. As opposed to picking a lane, picking a niche, who this is for and who this is not for. Therefore, when you go out to pitch to get someone to hire you, to give you a listing, what is it that you do or say that makes people want to work with you versus someone else? Separate from all the bells and whistles of, “This is our marketing strategy.” I want to hear, if I can, what’s the mindset you go in with? What’s the energy? What is it that somebody could say that would cause you to say, “This isn’t a fit?” Anything you can share in that arena? I believe the driving force when I go into a listing appointment that separates me from other brokers is number one, my enthusiasm for the work that I do. Number two, being able to give a clear, concise presentation and of course not to forget the word compelling. We all suffer a little bit from not having the most robust attention spans because we’re busy. You need to have your presentation done in a succinct way where for me, one of the things that I do is I like to cover four points. I bring a wonderful presentation book of real estate comps and all the marketing we do. It’s a wonderfully thick book that we leave behind with our clients. What I do is number one, talk about who I am and a little bit about my background. Number two, I get into the comps. Number three, I talk about the marketing that we are going to implement in order to drive traffic to a particular property. Number four, we talk about how we’re going to service you, the client, so that we’re answering your questions before you ask them. I would imagine that other brokers do a similar process in terms of the research and a little bit about their bio. What I’m looking for is your secret sauce. Do you paint a picture of what life is going to be like? Do you paint a picture of the process which can be stressful being less stressful because of your happiness focus? It’s probably the oodles of enthusiasm that I seem to generate when speaking to somebody. I’m asking them questions about why they’re moving and why they’re contemplating this sale. If I’m working with a buyer, in going through an assessment program with the buyer, it’s trying to find out what’s the motivating force and then talk around that. I think it’s probably coming in and having an enormous amount of enthusiasm for what I’m doing. The other thing is just having the knowledge. You would be surprised at how many people don’t have a lot of knowledge about their industry. Fake it to make it. What I hear then is if our audience wants to be more successful and happier, bring your enthusiasm, which has to be authentic. Ask questions that are specific to that particular person’s reason for making a change. Most importantly, prepare and don’t underestimate that can separate you from the competition. If someone is also saying, “I’d like to overcome some self-doubt. Maybe I don’t have the years of experience and this amazing track record that you have, Michael.” What would you recommend people do? I believe everyone has certain gifts that are a little different than someone else’s. 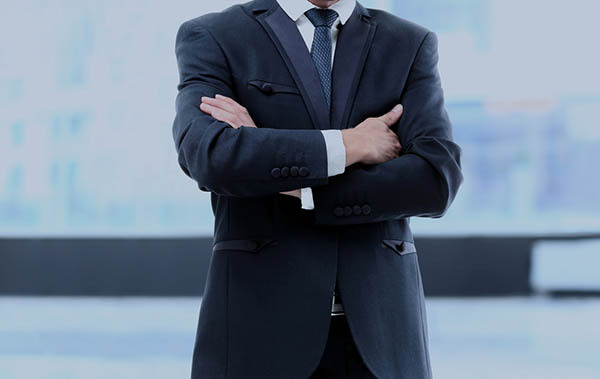 When you don’t have an experience in selling a lot of real estates, you might have a skill set that you can comport from a prior profession you were involved in. For instance, maybe somebody was in party planning. What they can talk about is the fact that when they get a listing, they build a marketing plan around that particular listing to figure out how to get the optimum amount of traffic. They’re taking their skill set from planning parties, which involves understanding menus and understanding possibly how to get press, depending upon the type of party it is. It’s taking a skillset from a prior profession, going ahead and comporting that to real estate and implementing it. Your enthusiasm can drive a contagious and infectious road path to get people to do exactly what you might like. One of the things you talk about in the book, Happily Ever Always, is listen to your gut, not your wallet. That goes back to that earlier question I had about when do you say no to a potential client? Your gut’s saying, “I’d love the commission on this listing.” You’re listening to your gut and not your wallet. Do you have a story around that you can share? I realized that if someone’s telling me that they’ve sold six properties and I’ve sold over 1,000 properties, I have a better track record in deciding whether or not something’s going to go. Therefore, if I feel the person’s contentious, I realize it’s only going to be blood money. It’s not going to be harmonious. When you are in business with someone and when you’re selling something for someone, you’re married to them and you want to have that harmonious relationship. If it’s not there, then you’ve got to listen to your gut, not your wallet. You could end up spending a lot more in the long run. You also said you called it blood money, which leads me to my other question. You talk about, “Don’t wish your villains away.” Tell us what that means. That’s an excerpt from my book and you should never want to wish your villains away. For lack of better word, I’ll use the word dreadful. Sometimes the dreadful people we think that come into our lives we wish weren’t there are the very people that can teach us lessons, not only about our self but also be a springboard to take us to a greater place. You might say, “Michael, why would you make that statement?” John, I would make that statement because sometimes mean people do things to us. It irritates us to the point where we say, “I’m not going to be your doormat. I’m not going to let you walk all over me. I am going to rise to the occasion and I’m going to be better.” That villain motivated you. Even Cruella de Vil is someone that could motivate us if you look at it the right way is what you’re saying. Another thing that I’d like to touch on is the point that is there anything bad in life? I guess we could say there are things that are bad in life, but sometimes from the tragedy comes the victory. We don’t see that necessarily when we’re settled in a situation that is terrible and that is painful. Sometimes if we step out of it, which takes a lot of courage and a lot of strength, we end up finding that we are strong and we can endure and we end up winning. Is there a time in your business life when things fell apart and you still were able to find happiness? There was a time in my twenties, I remember specifically where I wasn’t getting paid worth my salt. I felt in all the times that I kept asking my boss for a raise, which was over a two-year period that she wasn’t interested in doing that. I had looked for another job but hadn’t found one yet. I believed that until I took a hold of my life, believed in myself, quit my job and didn’t worry about the fact that I didn’t have another job. I knew that I would get a job or I could wait tables or do something rather than work for somebody and not get paid worth my salt, I went ahead and I quit. Happily Ever Always: When you find that you like who you are, you have the ability to present yourself in an authentic way. Is that what motivated you to want to write Happily Ever Always? What motivated me to want to write Happily Ever Always was going through life’s trials and tribulations and realizing that we all deserve to be happy. Therefore, I found myself in my 30s and 40s starting to write different things. By the time I got to 52, I figured it’s a do or die situation. It’s time to write and put it together. A lot of people have a dream of writing a book and they never make it happen. What was it that made you say, “I’m going to do this now,” besides time is running out? I feel I am a fortunate person. I’m not the smartest person, I’m not the wealthiest person, I’m not the best-looking person, but I love being me. If I was asked to be anybody in this world, who would I want to be? I would want to be me. To be honest with you, it’s because I can say that with great conviction that I would not want to be anybody but me. I hope in my next life, if we believe in past lives, that I can come back as me. I felt that happiness needs to go in a book and needs to be shared with other people so that they can feel the same way. In writing the book, I felt rather than give my philosophies, pontificate and narrate, I needed to invite the reader to answer questions. As I narrate the story of my road to happiness, I prompt the reader to answer specific questions at the end of each chapter. That when they’re done with the 150-page read, they might have found their personal truth, which will always allow them to live happily ever. We’re not going to wish our villains away. We’re going to listen to our gut and not our wallet. We are going to keep our commitments no matter what. Those are the real things that you say will help us be happier in our personal and our business life and that they are in fact connected. Can you speak to the connection between personal and business? The connection to personal and business is believing in yourself. When you believe in yourself, everyone else will too. In the business world, your colleagues will believe in you and they’ll trust you. In your personal, the people who love you and you love and the people who haven’t come into your life will also find that halo of happiness that seems to surround you as a person. The book is Happily Ever Always. Congratulations on having a mission and a purpose to help other people get happier and want to be happy with whom they are that they wouldn’t want to be anybody else. The outcomes of that are all the trappings of success, but it’s coming from a completely different place from the inside out instead of from the outside in. If people want to follow you or certainly if people want to hire you to find them a place to live in Chicago or hire you to help sell their place in Chicago, how can they reach you? They can reach me at HappilyEverAlways.com. Thanks for being a guest on our show, Michael. It’s been a real pleasure and a happy experience for me and I’m sure the audience.